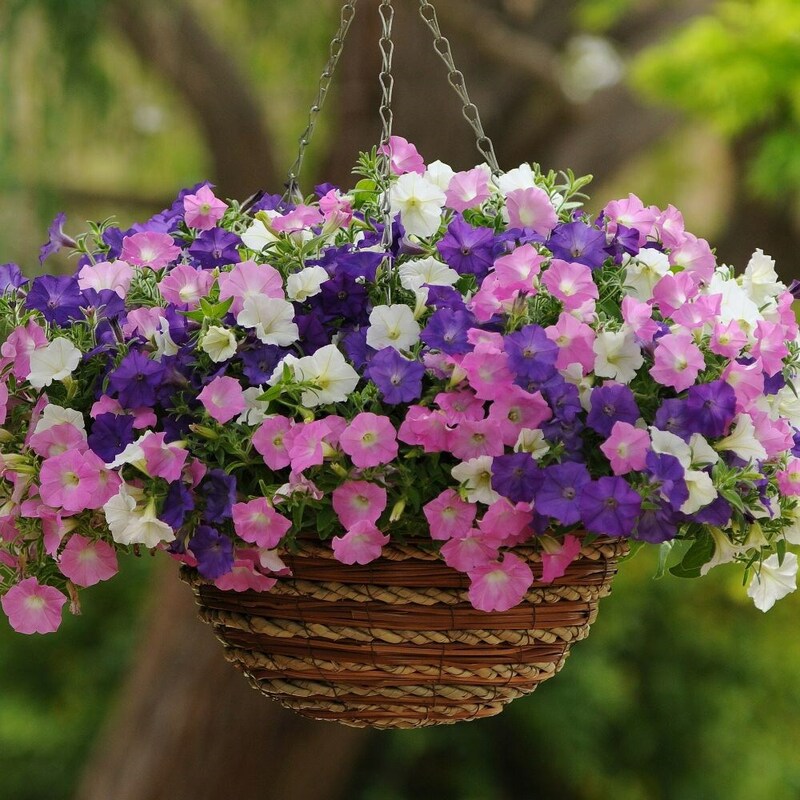 This wonderful trailing petunia puts on a dazzling show in summer when allowed to spill over the edges of a basket or pot. Each bloom is relatively small (around 3 - 5cm in diameter), but they are produced in such abundance, and bounce back so quickly after rain, that they definitely deserve a place on the wishlist. Please note that the hanging basket pictured is not supplied.